For a long time the Education Ministry has been trying to stop the academic rampage that operates under the guise of "freedom of speech" - but without success, leading Jewish Home Chairman and Education Minister Naftali Bennett to prepare an ethical code for educational institutions in Israel. For example, in August 2014, a number of academic lecturers published a letter to the American Anthropological Association calling on them to continue the academic boycott of the State of Israel. All the demands to stop lecturers from being sent to Israel were rejected. "These are institutions that are fully funded by taxpayers in Israel," say the Education Ministry. For example, the Human Rights Fellows Program at the Minerva Center at the Hebrew University grants four credits plus a scholarship of NIS 9,000. Among left-wing organizations where one may volunteer there is the Center for the Defense of the Individual (CDI), which works to protect terrorists. Only recently the organization protected the house of the terrorist who murdered Rabbi Michael Mark z "l and the house of the terrorist who murdered Hillel Ariel. Despite repeated requests from the Education Ministry, nothing was done. According to the Education Ministry, Asa Kasher, the author of the ethical report, is not suspected of right-wingedness. "In the United States, there has been a code of ethics for 80 years," the ministry said. In addition, as early as 2010, the Council for Higher Education in Israel decided to completely reject any attempt to politicize the academia - the institutions failed miserably and did not take steps to implement the decision. For years, many complaints have ben submitted about behavior of lecturers during academic classes, but nothing has been done to stop this behavior. "A lecturer cannot use his position to promote a political agenda. We are in favor of freedom of expression, but not in favor of exploiting one's status for political preaching. Therefore, the need arose to define a special code of ethics for proper conduct in the overlap between academic activity and political activity." 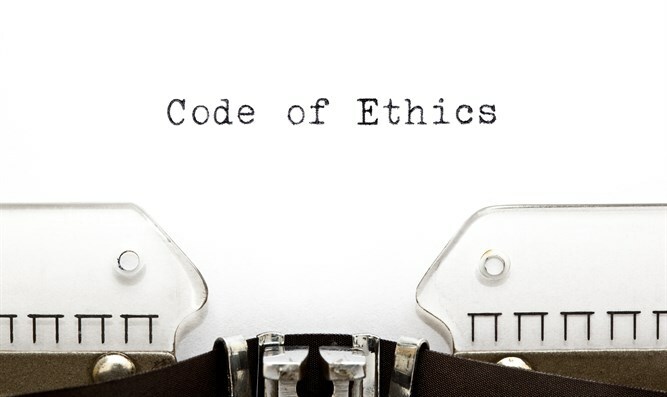 The ethical code of Prof. Asa Kasher will be submitted for approval in the coming days. Among other things, the report states that a lecturer is entitled to express his political views in a private manner without restrictions, of course, but not in a classroom in front of his students from a position of authority. The report also states that academia is not a party central committee, and it cannot be that students would be afraid to express their opinion in classes for fear of their grades, or alternatively, that lecturers would call for a boycott of the institution in which they teach. If a lecturer will speak and any of the students wish to complain about it, a student can turn to the enforcing authority and the lecturer may receive an "educational note" from the institution. If a lecturer flouts the disciplinary comment, further disciplinary action will be considered against him. Each institution will be required to establish a unit that will monitor and track the institution's political activity. This may be an existing mechanism such as an Ethics Committee or Student Ombudsman, or a new mechanism that is supposed to be administered by members of the academic staff of that institution. Any call to this unit will be required to be answered to the student who complained. This is not the case today. Today a student can complain and no one need answer him. The report further states that a faculty member will not participate in an academic boycott of institutions of higher education, nor will he participate in calling or supporting others to implement such a boycott. "There is no logic in funding a lecturer who works against the institution in which he works or any other institution ... The time has come to stop this madness, we are paying a salary to a university lecturer and he is calling for a boycott of Israel?" the Education Ministry says, stressing that the curricula will not be allowed to coordinate with politically-affiliated organizations. "The code is weighed, balanced, and meets all sensitive points in the field between academia and politics, which is a very professional code of ethics that was written after thorough and painstaking work, including meetings with the relevant academic bodies."